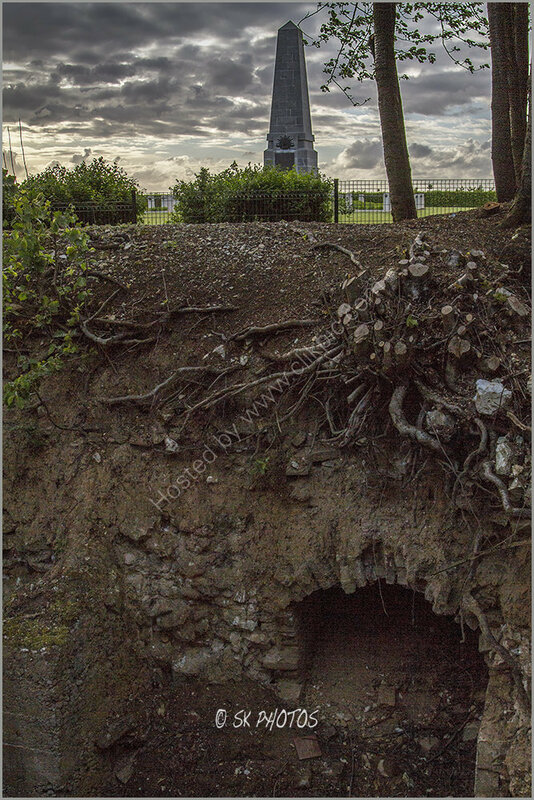 SK Photos: The Gibraltar bunker, Pozières, Somme. The Gibraltar bunker, Pozières, Somme. Remains of the Gibraltar German blockhouse at Pozières, and the 1st Australian Division Memorial.